Candidates for Cecil County Executive have been mostly slow to fundraise before the upcoming April Democratic and Republican primaries that will narrow the crowded field of candidates. But North East Mayor Robert McKnight, a Democrat, leads the pack with $7,000 in donations mostly linked to developer Clark Turner, according to a Cecil Times review of reports filed with the state Board of Elections. McKnight’s campaign finance report lists total contributions of $7,000 and expenditures of nearly $252, leaving a cash balance of $6,748. The report lists donations from his October, 2011 filing as a candidate through 1/11/12. Nearly all of McKnight’s donations came from individuals and businesses associated with developer Clark Turner. Turner himself provided the largest single donation, $2,000. Dan Whitehurst, a Clark Turner companies executive who often appears before Cecil County Commissioners and agencies on behalf of the firm, donated $1,000. Christopher R. Smith, who joined the Turner companies in 2008 as a land development manager, gave $1,000. Several Turner-related businesses also contributed: CT Charlestown Crossing LLC, $1,000; and North East Commons, LLC, $1,000. Charlestown Crossing is a large mixed-use residential development currently under construction near Route 40. North East Commons is a proposed development on the site of a former religious retreat community in North East. Also donating to McKnight’s campaign were Michael F. Klein, of Owings Mills, $500; and Shaffer, McLauchlin & Stover, LLC, of Bel Air, $500. None of McKnight’s donors listed Cecil County addresses. Pamela Howard, the former Cecil County Treasurer who is now running for County Executive in the Democratic primary, closed out her previous campaign account after narrowly losing her re-election campaign in 2010. She recently told Cecil Times she has formed a new committee and donated some personal funds to get it started. Since she only filed for the 2012 election a day before the filing deadline, her campaign finance reports will show up at the next report filing deadline later this month. Winston Robinson, another candidate in the Democratic primary, has formed a campaign committee but state records showed no reports filed yet. On the Republican side, County Commissioner Tari Moore (R-2), who kept her campaign finance committee open after her successful 2010 election campaign for Commissioner, had a nearly $1,604 cash balance in her campaign account in the January report. She disclosed receiving $1,410 in donations last year, plus a carry-over balance from the previous year of $201. Donors were Robert Murray of Rising Sun, $150; and SLL, Inc., of Elkton, $250. Her largest contribution, $1,000, came from the Maryland Realtors PAC. Moore held a fundraiser last weekend at Woody’s in North East, with tickets priced at $50 each. About 50 people appeared to be present at the event. County Commissioner Diana Broomell (R-4) also kept her campaign finance account open after her successful run for office in 2010 and can use it for her run for County Executive in the Republican primary. She filed an affidavit, both for the required 1/11/12 report and the 2011 annual report, stating that she had raised and spent less than a total of $1,000 in each reporting period. Such affidavits are permissible under state election law and do not require individual listings of total donations under that threshold. Former County Commissioner Harry Hepbron closed his campaign account after losing his re-election bid four years ago but he has created a new campaign account for his run for County Executive in the GOP primary. He told Cecil Times he has just begun fundraising, after the 1/11/12 deadline for report filings, and has been pleased at the response from contributors. 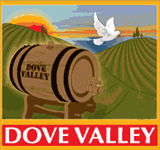 He said he plans to hold a fundraiser event soon at his Dove Valley Winery in Rising Sun. Michael A. Dawson—NOT to be confused with Michael W. Dawson who ran as a Constitution Party candidate for state Delegate in 2010—zeroed out his previous campaign finance committee from his unsuccessful run against Broomell in the GOP primary for commissioner in 2010. In January 2011, he donated his last $17 to the Republican Central Committee, on which he won a seat as part of the Smipkin slate of candidates tied to Del. Michael Smigiel and Sen. E.J. Pipkin, both R-36, in the 2010 election. Dawson filed as a last-minute candidate for County Executive in the Republican primary this year so his fundraising and expenditures should show up on the report due to the state later this month. In recent weeks, he has been distributing glossy, printed campaign cards packaged in plastic bags with materials from other candidates aligned with the Smipkin machine. Other candidates in the GOP primary for county executive are Pete Pritchard, Paul Trapani, and Richard Boyle, who have not yet filed campaign fundraising reports, according to state election records. So now we have another violation to add to the long list of problems with the GOP Central Committee finance report. Dawson’s donation is considered a transfer between campaign accounts, but no listing was found on the latest GOP filing. This is an outrage! I call on other members to call for a corrected report and the resignations of Chris Zeauskus, Michael A. Dawson and Carrie Taylor. Republicans should be outraged that the official GOP website still shows the next meeting is going to be held “21 July 2011″ and that the committee that they elected has not met since June 2011, except for a sham meeting which was held to give cover to Mike Dunn from the Patriots. How can [Michael A.] Dawson think he can be County Exec? What a joke!